The food…amazing!!! Thank you, thank you, thank you to all those folks that put their hard work and love into those meals. And a HUGE thanks to having the gluten free options. Please continue to offer that!! Thanks! The Food adds enormously to an already fantastic experience. The food at Sat Nam Fest is lovingly and consciously prepared. Sat Nam Fest meals are served out of the main dining hall and provide a cozy atmosphere to sit with friends, old and new, to break bread (even gluten free) and share delicious and nourishing vegetarian meals. Meal passes can be pre-purchased for a discount online or for full price onsite. All meals will be served buffet style with an abundance of exciting and nourishing options at each meal. The menu is all vegetarian with vegan and gluten free options. In our effort to best serve you and our planet, we prepare meals using as much local and organic foods as possible. Each meal will also provide a pure foods section with simple clean foods such as steamed vegetables, Quinoa, millet or brown rice for those wanting to keep to a simpler cleansing diet while at Sat Nam Fest. 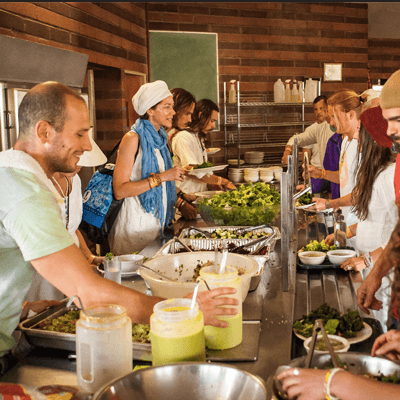 Every year we work on creating new and better food concepts for Sat Nam Fest Malibu Canyon, it is such an honor for the Conscious-Strategies team to be able to serve such an amazing gathering of like minded beings, setting the intentions to change the world, one vibration at a time. This year we will continue offering the juice program so if you’re looking at a healthy way to keep your energy flowing during the festival, this supplemental program is the perfect way to bring good nutrients into your system while experiencing amazing yoga and high vibrational sound currents. This is the current menu for Sat Nam Fest Malibu Canyon 2019. The menu is subject to change based on availability of local/organic produce. There will be yogi tea served at all meals as well as a gluten free bread-nut butter/jam station, a simple foods section which contains plain veggies, grains and kitchari. Lunch and dinner will feature a DIY salad bar. Creating the table, a place of nourishment, feeling complete, feeling sustained and finding connection… that is our goal, our “wheel house” as a team. We are here to support you on this amazing journey at Sat Nam Fest Malibu Canyon 2019. We are plant based, high vibrational foodies who love living happy, healthy, holy lives through the choices we make, especially the food we nourish our temples with. The way in which we approach our own lives is what we aim to bring you all while at Sat Nam Fest – healthy, delicious food that leaves you nourished on a soul level. Join us and your fellow yogis for a fun, happy, joyous, big family feeling meal time. This is our opportunity to serve you, a community of high conscious yogis on each on our own journeys. This is your opportunity to make new friends while waiting in line, but we promise the wait, and the company is worth it! This is our opportunity as a community to come together, break bread together, look at each other and really see that the other person is you… We can’t wait to see YOU! 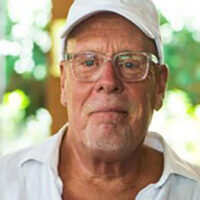 Consultant-creating menus concepts, systems and visioning for Blue Spirit Costa Rica, Bodhi Tree Yoga Resort, Elohee Retreat Center, Rythmia Life Advancement Center. 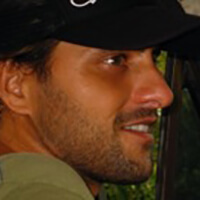 Currently Food and Beverage Director, Cal Reiet, Mallorca Spain. 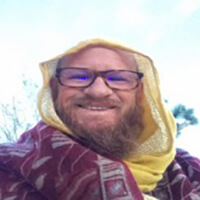 Certified Shamanic energy healer. Studied with Alberto Violdo/Four Winds. Showcasing the excellence in service and high vibe nutritional food for all. 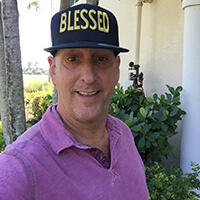 Bob is a culinary, health and wellness, and operations professional with twenty years of food service experience with an expertise in management ranging across farm-to-table, plant-based, fine dining, and large scale food services. 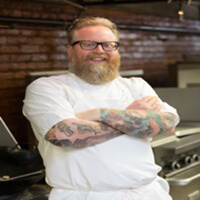 He was the General Manager & Executive Chef at the Omega Institute for 14 years and most recently the opening Chef for the Rivertown Lodge in Hudson, NY. He currently consults with hospitality teams operating retreat centers, conference centers, hotels, and restaurant groups who want to focus on building wellness programs, community engagement, and supporting the local economy. He loves working with creative, team-oriented people in building an environment where the culture is socially conscious and the mission is in service to whole relationships. Katie Hartman is a retreat catering chef based in the southwest. Growing up cooking and eating traditional foods with her Sicilian grandparents, baking with her German grandmother and sprouting lentils with her mom, Katie developed a curiosity and passion for real food made with love early in life. Katie has been cooking vegan food professionally since 2003. She has worked in vegetarian restaurants and for private clients in Chicago, New Zealand and northern California. Katie began catering retreats in Joshua Tree, California in 2011, and joined the Sat Nam kitchen crew in 2013. Crystal Blue Pacific Waters of San Juanillo. ‘Soda Para Todos’ was a sacred spot for all those blessed to know it but the shade of the avocado tree in the sleepy town of San Juanillo proved inaccessible for the masses. Eventually JP relocated operations to the bustling little town of Playa Guiones, Nosara under his former catering name, Naked Foods. While you’re there you can visit with JP who is still the same laid-back, health-loving, friendly surfer dude he always has been. 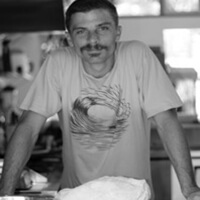 Michael’s kitchen beginnings and experience began in the late nineties with the first introduction as a volunteer, then later earning a position working with chefs Vittorio Luccariello, and Mirko Paderno in Piero Selvaggio’s restaurant Primi un Ristorante in west Los Angeles. A small restaurant with an incredible reputation, that catered to movie and television executives and talent. It was here that he was exposed to northern Italian cuisine and all the different positions of the kitchen. Next, an opportunity presented itself to move to Selvaggio’s flagship restaurant Valentino in Santa Monica, California. Here he was an assistant pastry chef to Armond Sheveladian. At the time, Valentino was one of the top five restaurants in the United States. He had two years of amazing experiences and exposure to unique products and fantastic food and techniques. Later on he moved to Watergrill in downtown Los Angeles to continue in pastries, as the assistant to Wonyee Tom, who continued to expose Michael to priceless techniques and experiences. After Watergrill, came Lakefront Restaurant in Mammoth Lakes, California, then Café Mellise with Chef Josiah Citrin in northern Los Angeles. 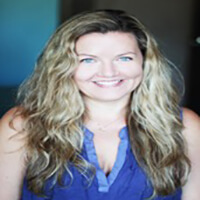 Stacy is an experienced yoga teacher, massage therapist, and educator, She has trained hundreds of yoga teachers throughout the world in places as diverse as: Norway, Japan, Canada, Kuwait, Costa Rica, Mexico and the United States. 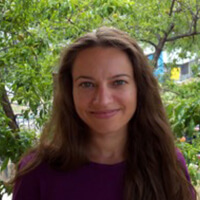 She served on the faculty of the Nosara Yoga Institute, Costa Rica from 2009–2015 as a senior teacher and is currently on faculty at Kripalu Center for Yoga & Health, Massachusetts. Stacy holds the E-RYT 500, RPYT, YACEP designations through the Yoga Alliance and has been the director of Blooma’s Prenatal Yoga Teacher Training since 2011. Stacy is also the social media manager for Tommy Rosen and his company Recovery 2.0. Her home base is in Minneapolis, Minnesota. “Your work is going to fill a large part of your life, and the only way to be truly satisfied is to do what you believe is great work. And the only way to do great work is to love what you do. If you haven’t found it yet, keep looking. Don’t settle. As with all matters of the heart, you’ll know when you find it.” Steve Jobs. Our go to guy for everything, this is Shawn’s 3rd year at Sat Nam Fest, he will be supporting the juice operation and also holding down the café with Freddie, excited that he is back, Shawn lives in Colorado and has a stonework business. Check out his facebook page.